The Spine Race is a 268 mile non stop challenge encompassing the entire Pennine Way, crossing some of the most difficult and beautiful terrain in England, including the Peak District, Cheviots, Yorkshire Dales and Northumberland National Park, and finishing on the Scottish Borders. 61 men and seven women attempted the race in 2016, which started on January 9th. Do the Spine (sounds like a dance) and you can expect extreme conditions and the likelihood of hypothermia DNF and trench foot with snow, ice, mud, bogs, extreme winds, rain and sleep deprivation. This year’s race finished today, welcoming home Zoe Thornburgh and Anna Buckingham in joint first place. 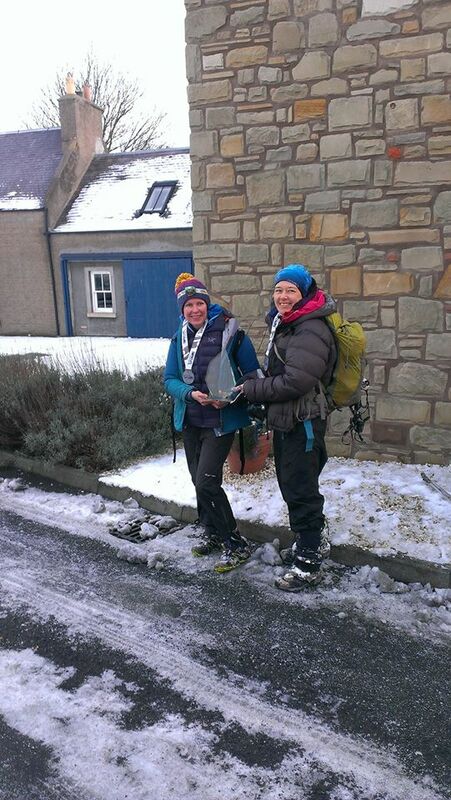 The women completed the challenge in 166hrs 38 mins. Amazing ladies! Find out more about the Spine Race here. Confessions of a Night Rider.